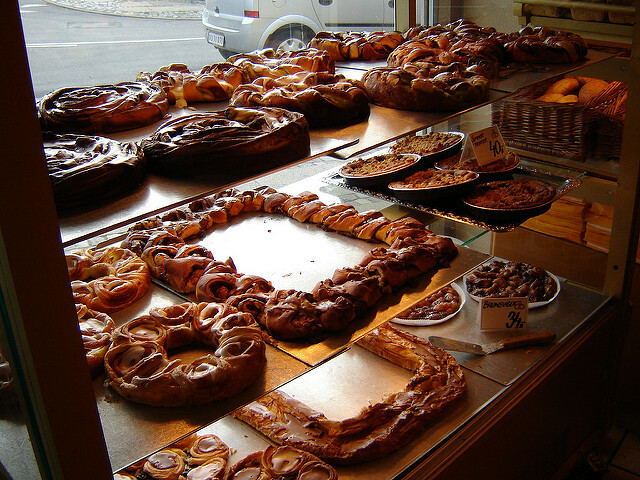 There are so many great foods associated with Denmark. 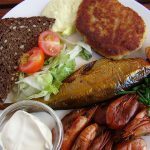 The first things that come to mind are most likely smoked or marinated herring, smørrebrød – the open faced sandwiches topped with smoked salmon, beef with horseradish or any of a variety of meats, fish and vegetables artfully arranged on rye bread. Or, of course the Danish pastry, which is called Danish pastry in most places except Denmark, where it is called Wienerbrød (Vienna Bread-it seems that they were first made by Viennese bakers around 1840). The actual national dish is a dish that was voted on by the Danes. This was two years ago in 2014 and over 60,000 Danes participated. The dish they chose was Stegt flæsk med persillesovs-fried pork with parsley sauce. 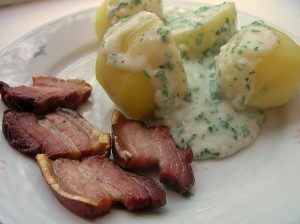 It usually is thin slices of pork belly cooked in the oven, rather than fried and served with boiled potatoes and parsley sauce. 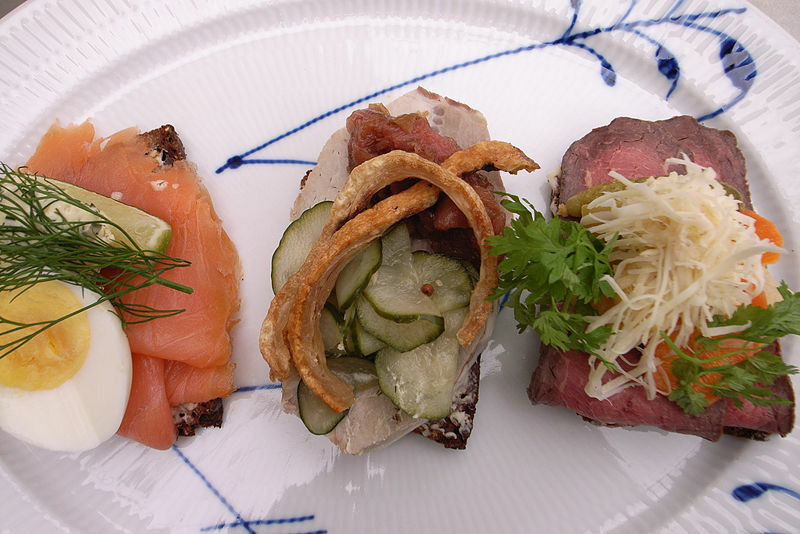 Fish is certainly a major factor in Danish cuisine and herring, whether pickled or smoked or served on smørrebrød. Also, the best salmon I have ever had was on a trip to Denmark, many years ago. 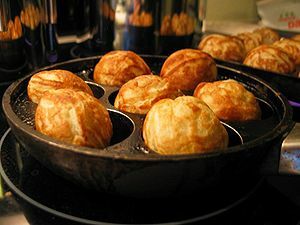 Pork and veal meatballs called frikadeller are another iconic Danish dish as are the small pancake balls called Æbelskivers that are cooked in special cast iron pans. 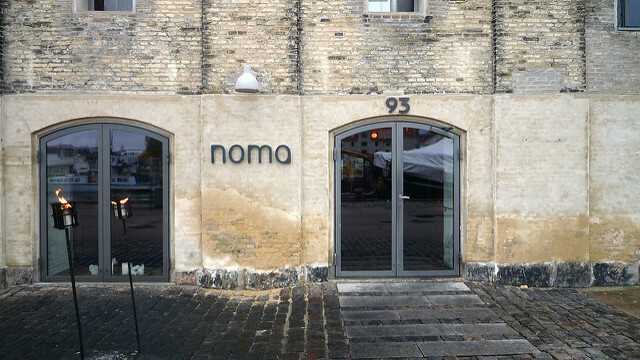 The world’s best restaurant, which serves ‘New Nordic Cuisine’, is Noma, located in Copenhagen. It was ranked as such by Restaurant magazine in the years 2010, 2011, 2012 and 2014 and is a two Michelin star restaurant. It has been very influential in bringing Scandinavian food to the forefront by combining traditional ingredients with molecular gastronomy. Aquavit is the common spirit enjoyed throughout the Scandinavian countries. Our cocktail this month uses the caraway flavored spirit along with lemon and plum flavors. Its a very aromatic drink which I think turned out very nice. 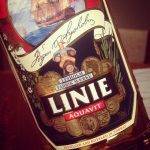 I kind of cheated and used Linie Akvavit, a Norwegian Aquavit, because it was the only one I could find around here. The interesting thing about Linie, which refers to the equator, is that it makes a trip by ship to Australia and back, crossing the equator twice. The jostling and rocking of the boat is considered an integral part of the process of producing the Aquavit. The date that your bottle made the voyage is printed on the back of the front label! Stir all ingredients with ice and strain into a chilled cocktail glass. 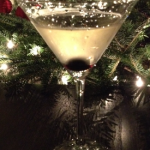 Garnish with a brandied cherry.